I’m a little behind with everything this week. Wasn’t feeling well Wednesday night and Thursday, so am doing catch up. My daughter is off sick today so am thinking a wee bug visited the household. Anyway, I feel better and she’s off sick from school, but I think she’ll be better tomorrow. She’s already looking better than she did earlier today and last night. So, how’ve you been? Hope you are all well. 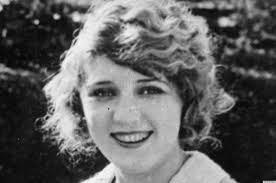 Am on a bit of a silent movie thing right now having watched an excellent documentary on Mary Pickford (above) on Sky Arts 1. What a woman she was! 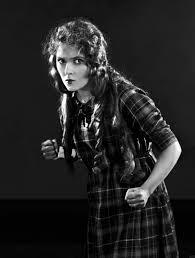 A pioneer of the movie industry, co-founder of United Artists, a leading light behind the scenes in Hollywood. Truly an inspiration. 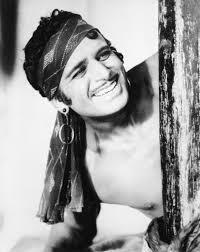 Had to put a couple more pics in of her (above left) and Douglas Fairbanks (her second husband, pictured above right). They were the darlings of Hollywood; the very first movie King and Queen. The documentary had all the elements I love: old style movie stars, romance, a canny business woman, talent, someone not afraid to take risks. It was excellent, so if you get the chance to see it do so. Anyway, moving on. This week – apart from all the usual stuff I have to do – I’ve been concentrating on finishing my crossword book (I now feel bereft…need to buy another) and Stephen King Goes to the Movies. I’ve just finished Rita Hayworth and the Shawshank Redemption (which was made into one of my all time favourite films) and it was excellent. Just got Children of the Corn to read. Am not sure I want to read it, not being a horror buff, but I’ll give it a go! Not sure what I want to read once I’ve finished that. I have several books waiting in line to be opened and devoured, but I’ll need to have a think about what I feel like reading. Oh, nearly forgot, watch this space soon for a little competition I’m running. More information later! Right, am off to do some writing. Am now about a fifth of the way through both my new children’s book and the adult book. Loving writing both.